The most important moment in a pro eSports player’s career is its initiation, how one makes the transition from being a hobby or amateur player to a dedicated, determined, hard working and winning professional. This transition is also the hardest stage of any eSports gamers’ career. You can see a lot of aspiring young, talented, highly skilled, highly capable pro eSports gamers, who unfortunately could be much more advanced than where they are now, both in terms of their game and in terms of their business setup, had they taken into consideration a few factors when they started. Many of them have the understanding that if they are good at what they are doing, they will succeed. Well, unfortunately that is not the case. Being good is not enough. With the vast amount of competition, you have to be great to become a pro eSports gamer today. In order to become great, you need a lot of time for training individually, training with others, and to be able to strategize your moves not only in the gaming industry, but also in your life, to make the most of the opportunity to progress in your life as a professional gamer. An aspiring pro eSports gamer needs to understand that it is a life dedicating decision, which will affect your lifestyle and routine in every way possible. If you do not clarify the ingredients of being completely determined, disciplined and hard working to become a pro eSports gamer, then thousands of others who are more determined, disciplined and hard working than you will be the pro eSports gamers and you will not be. It is as simple as that. Therefore, from the beginning, you should take other pro eSports gamers as examples of how they setup their lifestyle, daily routine, work ethic, take the time to research, try to talk with them and ask them questions. Also, do not just take one or two as an example. eSports is a highly competitive world today, so you should take example from top players in South Korea, in the US, in Europe, take notes, and start applying their tips to your own lifestyle and routine. For example, take a look at Liquid`TLO’s daily schedule that he posted on the Team Liquid blog, and you will get an idea of how a good 5-7 hours are dedicated to training each day, and also how all the necessities of life, including food, exercise and even time away from the computer, are all accounted for. Everything that does not support your goal to become a pro eSports gamer needs to be dealt with, otherwise these sources of interference will work against your goal. You need to define what these sources that disturb you from reaching your goal as a pro eSports gamer are, and strategize how you can at least minimize them as much as possible, or better yet, eliminate them… or best yet, invert them into sources of support. Just imagine, if every disturbance you had right now holding you back from doing whatever you need to do to go pro would invert and act as a source of support, how far could you go? However, this will never “just happen.” It requires strategy and action, and this report is a starting point to help you do just that. Are your parents a source of great support, or a source of interference? If your parents do not support your eSports gaming dreams, then that can definitely make it harder for you to progress. However, as with all problems, it should be dealt with, and if you could make a 180 degree twist from non-support or indifference to support, that would be the best option for helping you in this situation progress toward your eSports dreams. I have seen a lot of gamers who completely shun their parents out, who experience the common lack of parental support, and then try to kick them out of the equation, choosing the direction of ignoring or getting away from their parents without trying to get to the nature of what parents are looking for and how to confront the issue in a way that could both benefit you, the aspiring pro gamer, and also, your parents. Imagine a healthy and good relationship with your parents, where they would support what you are doing and be on your side. Sounds too good to be true? Put the fact that they are your parents aside for a moment, and just think, even strictly professionally speaking, your parents as a source of support would mean that you have great investors in you as a pro gamer. They might just be able to help you through all kinds of situations, from accommodation and food through money or even maybe managerial issues to do with contracts and sponsors. And if not any of those, then at least the moral support and willingness to see you successful and happy would be a positive psychological factor to have on your side. Therefore, just like you would make a proposal to any potential investor, similarly you could prepare a proposal to your parents, treating them as a potential investor in your gaming future. Showing just one of the two is not enough. Often, the first point (that you are happy) is only viewed from the standpoint of the second point (that you are securing a good future for yourself). Moreover, the common parental template for “that you are securing a good future for yourself” is that you get a career in something that they understand and which is clear to them, and to what society as a whole supports, which usually translates to some sort of a university degree. Therefore, on this point, you need to do some work to get your parents on your side as believers in your abilities as a pro eSports gamer, and also show them how eSports is a enormously growing industry that holds a lot of opportunity for pro gamers, as well as for many other roles, from the traditional game designers, developers, testers and producers to the more recent eSports gamers, teams and commentators. While the approach is different for all parents, and you will have to find a way that best suits yours, one way to do it is to treat your parents in a professional manner: Do not be passive and wait for them to come to your room or start an argument with you on the topic over a meal, where you always end up on the defensive. Instead, take an active approach: put a presentation together, and set up a meeting with them, similarly to how you would setup a meeting with a potential investor (keep an eye out for updates by Addiktz to get one of these presentations ready-made). That comprises the first part of the presentation. The second part will have to be done by you. It will need to include how you will plan out your time, both in terms of improving your skills, joining teams, playing at tournaments, and gaining investors (sponsors). This presentation is not merely to be able to show your parents. 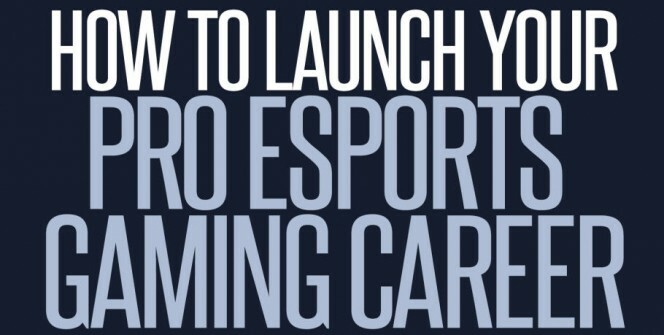 It is a means for you to be able to review every aspect of your approach to becoming a pro eSports gamer. And your parents are just one kind of potential investor you can get in your growth with this kind of presentation. Think in terms of everyone you know who might be able to invest in you. Before you think of corporate sponsorships and teams, the best initial investors might just be lurking within your closest circles of family and friends. It is worth thinking who you might be able to convince to get on your side with such a presentation. If you have some experience behind you, then you might even be able to consider crowdsourcing some investment into your gaming career through Kickstarter or Indiegogo. At this initial stage, any kind of investor and support is beneficial. Even if someone cannot provide you with money, maybe they might have some kind of skill that might end up becoming useful, like someone who could take good photos of you, design, make videos, run a website, Facebook or Twitter page, or maybe someone has a connection with someone else who might be willing to invest their time or money into you. Therefore, it is definitely worth taking time to clarify this step, starting with your parents and immediate family, and then expanding to further circles of people you know. 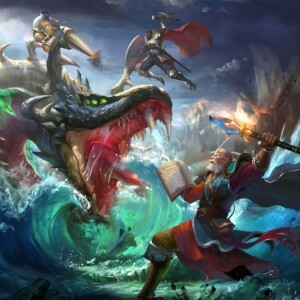 While, on one hand, the eSports industry is booming and there is more and more money going into tournaments and sponsorships, on the other hand, there are also lots more players trying to go pro, and the arena is becoming increasingly competitive. For example, if you are a platinum-or-below level player in League of Legends, then (statistically) you have less of a chance of becoming a pro eSports player than a high school football player has of reaching the NFL (see [Infographic] Pro Gaming Vs. Pro Sports – You’ve Got a Better Shot at the NFL). If this does not deter you from still wanting to make it, then you should use it to sharpen your focus and seriousness in going against the odds and making your pro eSports playing dream a reality. There are a lot of players out there doing all that they can to make it, so taking the time to research, think out and plan out your actions is a necessity if you are going to make it today. This is what this report is here to help you with. Well, this is the classic disturbance that most people in the world, not only gamers, come up against. As an aspiring eSports pro gamer, it can definitely be the place that tears you into two directions, and it has shown itself to be the disturbance that causes a lot of gamers to leave their practice time honing their skills as an eSports athlete to work menial jobs to be able to survive. Now this report is here for those of you who do not want to simply be part of the extras on the set, who end up saying, “Well, that’s life, what can you do about it?”… but who are thirsty to make your dream a reality. Now you can also see why there was emphasis placed on getting your closer circles of friends and family on your side as investors, and working on your presentation skills. Living rent-free with free food is a big plus if you are just starting out and need to put in serious time improving yourself, your skills and your technique, That is why being on good terms with those who are providing for that would only be beneficial. You need all the time possible to dedicate to improving yourself, your skills and technique, and gaining experience playing with others. In the very beginning, you would likely want to not pay for accommodation and food, and therefore being on good terms with your parents is a good start. If you have not done so, you would want to join a serious team, and enter into a scheduled relationship with them to train and work together. The best case scenario for dealing with making a living is to get paid to train and play in tournaments. This is why you need investors and sponsors. Until you get them, you can and should use your time spend practicing and getting better to your advantage. Get all the channels you can with your nickname, so that you own them: i.e. the Twitch channel, YouTube, Facebook page, Twitter username, Tumblr, etc. This is already the start of your online presence. When later going for sponsorships, one thing that can give you an advantage over others is having an already established online presence with a following. Invest in getting a good photo of yourself and a good bio. Send out some requests for feedback on these, and if you do not have design skills, look around for someone who can help you with that. Try to put a small team around yourself, not just of gamers, but of people who will invest in your eSports career. Before starting to saturate Twitch and YouTube with your streams and videos, work out what what makes your online persona unique, what makes it stand out from other players/personas. Your public image should be very carefully established. You should carve up your character with the utmost attention, gain a reputation for specific types of strengths you bring into the game, develop a unique position, and so on. By just playing and playing, and streaming and streaming, just putting yourself out there unidirectionally, as another gamer trying to make it, has no catch to it. That is first. Having 20 videos on YouTube, with all under 100 views, is a bad look. You’re giving the wrong first impression to people, and to your future investors, ingraining a rather damaging perception of yourself. Once that happens, people will start to think less of you. It is always better to have 1 video with 1,000 views, which you effectively promote, rather than having 20 with 30 views each. Therefore, continue streaming on Twitch, but from your recordings, take notes of all your best moments, of anything that’s unique and which you think would make you go “Wow!” if you saw it on YouTube. Make some short clips with that material. Either you or a friend could slap up some commentary, and then put it up on YouTube, post it in some gaming forums and see the response. You are more likely to make better videos like this which might later better work in your favor. A common lifestyle of a pro eSports gamer is to have at least 2 good sessions of 3-to-5 hours per session each day: one might be for practicing alone, working to improve your skill, technique, etc. and the other session might be with a team, or playing in online battles. There needs to be significant self time as well as competitive time with other players. These times need to be set in stone each day, and if you need to work to bring back money to make a living, then you need to look to do that outside those times. It is a simple matter of prioritizing your dream above all, and aligning everything with that. Kenji, better known as “NumotTheNummy,” is a popular streamer that focuses on Magic the Gathering. Kenji is your average college grad who studied anthropology and sociology, and he found out that it’s something he didn’t want to do. Instead of plowing forward like a good soldier, Kenji decided to figure out what he wanted and worked at a grocery chain’s night crew. Night crew is the team that restocks the shelves and checks out late night shoppers between the hours of 11:00 p.m. to 7:30 a.m. Needless to say, this isn’t a healthy lifestyle. During this time, Kenji started streaming because he used to play Magic and watch other players stream their games. After a while, it became part of his daily gaming experience. Like a lot of popular streamers, Kenji started streaming on a whim, sporadically once or twice a week, and was able to build a small but loyal audience of 100 to 200 viewers. These viewers gave Kenji the confidence and the drive to start a 365-day livestream challenge in March 2012. Kenji’s goal was to stream every day for an entire year. It was a lofty goal, but it paid off because he’s probably one of the most popular and well-recognized Magic streamers on Twitch.tv. But, it was definitely painful at times, and Kenji sacrificed a lot to complete the challenge. Kenji began the challenge, while working full-time as part of the night crew. This meant that he worked between 11:00 p.m. and 7:30 a.m. and slept for a few hours until noon to start streaming Magic. Kenji would stream at least six hours and sleep a few more hours before heading out to work again. This was Kenji’s life for the first five months of the pledge. You can imagine that the first month was probably a breeze because of the adrenaline and thrill of the challenge. But, by the third month Kenji was burnt out. He needed to make a choice. It was either go big or go home. One of the other points many young aspiring gamers undergo in the transition from being a hobby gamer to following a pro eSports athletic dream is the need to “be like everyone else,” to have fun, hang out and party. To cut to the chase, the solution for this is simple: Find like-minded people and teammates who also have your same dream, and throw yourself into them. The only reason this fun and party need can be a problem is because you are in that transition period, and you are between living out your new aspiration to become a pro gamer, and between your “old” life with friends who do not have big dreams of becoming eSports athletes, and thus look forward to the weekend or the night out to drink and have a good time. I am definitely not saying to stop having fun and stop partying. No way! All I am saying is that the society you are in determines what is fun for you, so if you throw yourself into the arms of an eSports community that lives and breathes gaming, then you will also find more and more fuel from the community surrounding the game/s you play, and it will fuel your aspiration. You will then discover your fun in your work ethic supported by your stronger ties to that community. Likewise, party hard! But party hard after you have played your heart out at a tournament together with a bunch of other pro gamers who had been working hard coming into that tournament. You will also find that this tournament party is a thousand times more explosive than any other “weekend party” you had gone to until then, precisely because of all the sweat, tears, determination and hard work that accumulated towards that very party. Sometimes I see the 20-something players and feel like they are missing out. They waived college life partying and hanging out with their friends. That’s how it was for me, and I feel like I missed out on some stuff. But they are passionate about what they want. Living with the team is necessary, and to be surrounded by like-minded teammates. The above mentioned problems are ones that many young aspiring pro gamers encounter not just at the beginning, but which can show themselves at every moment. One of the things you want to do is join a team as soon as possible. Again, there is no right or wrong, and different approaches suit different people, but considering the above point of surrounding yourself with like-minded people in order to gain their will for gaming, a team environment will only improve you, and will set you and your team up to be able to enter tournaments. But in general, competing at any level to start with is good. Take the example of KoreanDJ in Smash Bros. He money matched all the best players he possibly could, knowing he would lose the games, in order to get them to take the games with him more seriously, learn their styles, see what they were doing, and thus, exponentially improve his game by playing among the top players. That is just one tactic that worked for KoreanDJ. Maybe it would work for you too. In any case, joining a team most often means signing a team contract, and there are a lot of common problems with team contracts that aspiring pro gamers should be aware of. The main problem is that team owners need successful players to get money. In order to get successful players, team owners need to promise them a lot, and most of the time, they cannot deliver their promises, and the contracts break within a few months. Only the top 5 or top 3 in tournaments make any money, so the stakes are very high when it comes to the need to win in order to sustain the team. Teams are often placed in a “Win or End Your Pro Career” scenario, which places a lot of pressure and uncertainty on aspiring pro gamers. Moreover, other than the tournament money, if teams and players consistently rank outside the top 3 or 5, then sponsors become increasingly disinterested in them, and will stop sponsoring them. There are many stories of sponsors pulling out of their sponsorship deals even while their players were at tournaments, and refusing to pay for players’ flights back home. Also, since most young gamers are focused solely on the game, they have not had a chance to learn the ways of corporate business dealing. Corporate sponsors know this well, and often take advantage of young aspiring pro gamers who just want to focus on the game and get what they need in order to play. Oftentimes, this means that gamers make mistakes in the deals they sign, and do not end up getting enough money to even buy food and pay rent. Finding an experienced manager to deal with all these aspects is definitely a plus, but unfortunately, not all aspiring pro gamers have that privilege, and even if they do, how can you leave your future in the hands of one person managing you? Would it not be better to instead gain tools of knowledge and negotiation, and develop a mindset to protect yourself and get what you are worth in each of these situations? 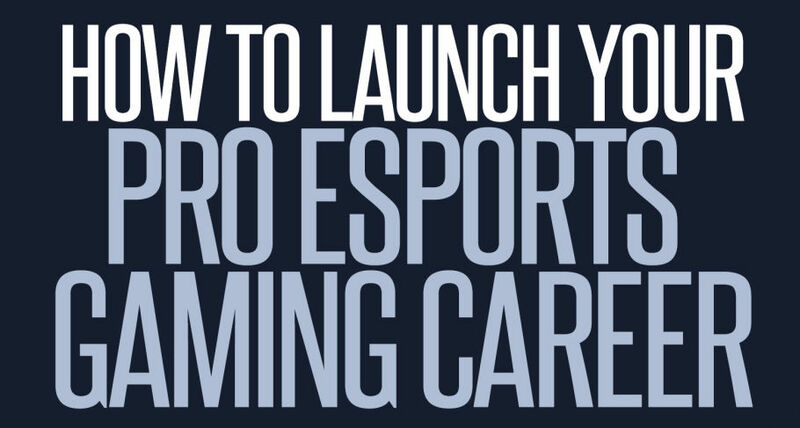 (Keep an eye out for updates by Addiktz to get an upcoming pro eSports gamer DIY kit, which will show you how to establish and develop yourself as a brand). Say you joined a team. You were signed because you were recognized as a great player. You met the others in the team a couple of times, got along okay, and now you signed a contract and have to spend a lot more time with these people. Here is where a whole new problem sets in: team dynamics. It becomes a problem when everyone’s different personalities, mentalities and opinions clash, and these clashes get in the way of progress. Similar to the problem of not having much experience in life to deal with the corporate side of gaming with the contracts and the sponsorships, likewise, young gamers who join teams know how to game, and might know the game inside out, but when it comes to organizing people’s time and efforts around the game mutually, this can and does turn out to be a big problem. This is the area where understanding the importance of developing well oiled team dynamics comes into play. Healthy and productive team dynamics in every aspect of the players’ lives will penetrate into the gameplay and will make the difference between wins and losses. There are tools for how to approach team discussions so that differing opinions do not tear apart the team, but that they are recognized and overcome through a particular “round” method of discussion. Moreover, teams can learn by example from other successful teams, looking not only within their country, but also overseas, and apply what those teams apply. Likewise, teams should use tools that sports teams and other work teams use to improve team dynamics in order to learn how to work better together. There are many tools for improving team dynamics, productivity and output, and often eSports teams do not utilize these tools and fall into many unnecessary pits that slow down or halt team dynamics, even causing certain players to leave teams, and all kinds of other unnecessary situations if they knew how to deal with from the outset using tools and conditions for healthy team dynamics and development (keep an eye out for updates by Addiktz to gain these tools in the near future). All the problems and common pitfalls that many aspiring young gamers fall into are presented in this report as a means for young aspiring pro eSports gamers to be able to better prepare and equip themselves for encountering these problems, so that when such obstacles arise, you can get through them faster and with more awareness than had you not been prepared. Instead of deterring you from becoming a pro eSports gamer, by acknowledging the ways you might fall, and preparing yourself for them in advance, you increase your chance of being able to overcome them and use them to make yourself stronger as a gamer, as a person dealing with the gaming industry and community, and most importantly, as a person. At the end of the day, gaming is what you love, otherwise you would not be out there to mould pro gaming into so much of your life. The idea of raising these potential obstacles is to treat them precisely as “obstacles” or “challenges” and not as “problems,” which will serve to better build you as a pro eSports gamer. The idea is that you can insert all of these situations surrounding the game into the “life game” itself, and help you learn how to play that game as well as you want to play video games. The idea is to never lose sight of that dream, to always chase it and tackle every situation that arises as an opportunity to strengthen yourself as a person. Everything kind of shuts off around you. Everything focuses only on the screen and what you’re doing, and everything just seems to feel right. I mean, the drive, the cost, everything, as opposed to what I want. There’s no comparison. I could’ve saved all that money myself and it wouldn’t matter. I mean, the respect, the friends I made, what in the video game world you don’t normally get. I definitely want to become a professional video game player, and I just want to get better and better, and if someone wants to pay me to do what I’m already good at and what I like to do, why not, that’s what everyone looks for, right?